Yay for fall outfit ideas! 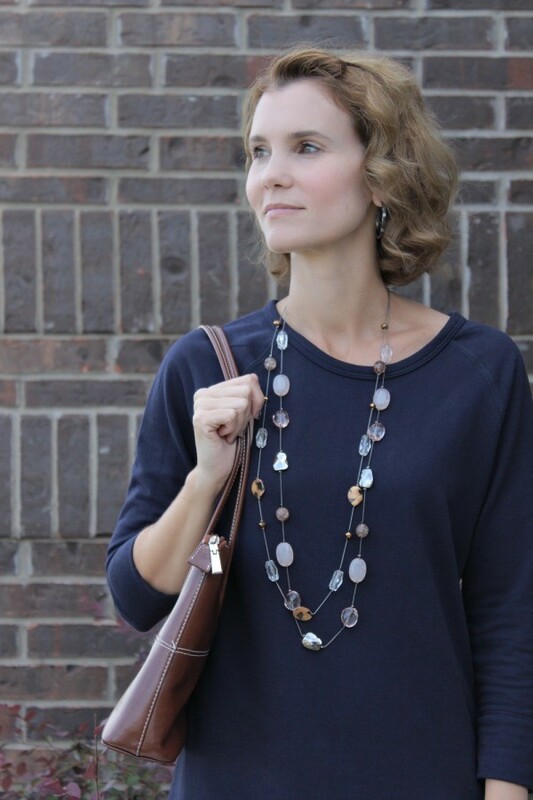 I love the colors navy and brown together, and this fall outfit idea merges the two in a casual every day outfit I love. 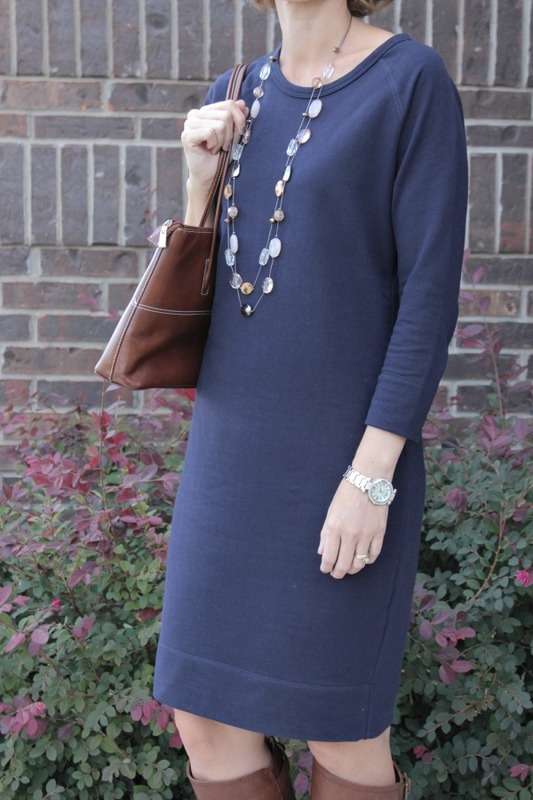 It’s incredibly comfortable, plus this Merona Knit Shift dress was on clearance at my local Target for just under $13. Score. I like how this dress hangs just at the knee. 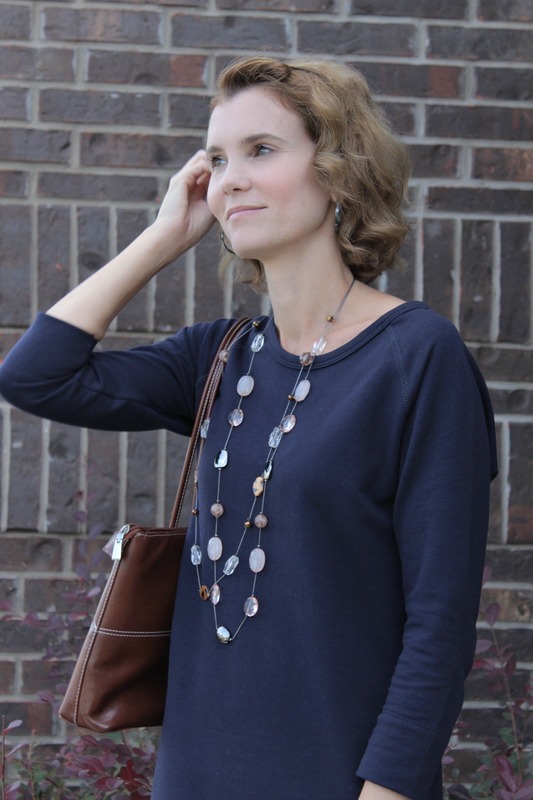 It’s perfect for the cooler temperatures and I can wear it with boots or flats. I’m thinking a pair of leopard print flats would also go quite nicely with this. Add some simple jewelry and a complimenting handbag and I’m good to go for running errands, weekend shopping or a night out to the movies. I mentioned this dress is comfortable, but I have to say it again. It’s SO comfortable! When I first saw it on the rack, I thought it might be too simplistic for me, but I actually like it. This is one of those go-to outfits I don’t have to think a lot about. I’m so glad you linked up, I adore your style girl!! BTW when did you get your hair cut? Has it been that long. SO cute & I love the dress!!!! 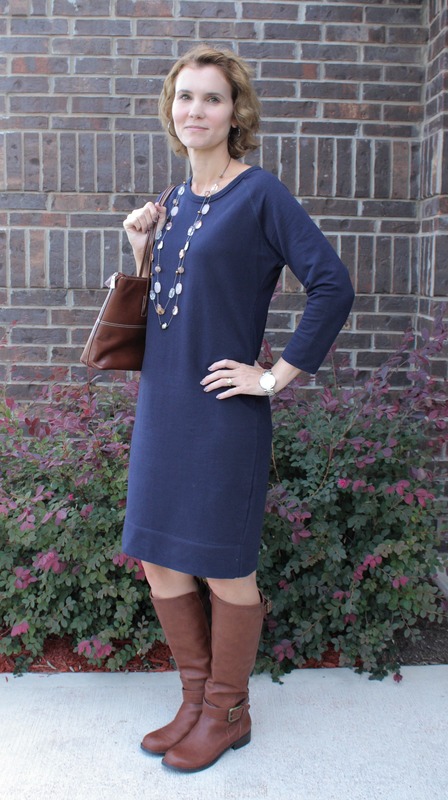 Love this look I am loving navy for fall and the dress looks great with those boots! So glad you are linking up again!